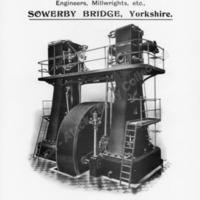 Ad for a Vertical Cross Compound Engine. 1,200 H.P. 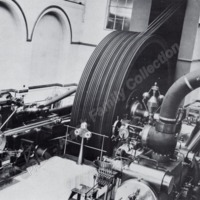 Horizontal Cross Compound Engine at Ryburne Mills, Halifax, by Pollit & Wigzell, 1922. Photograph kindly loaned for reproduction by HALIFAX COURIER LTD.